Get busy with Buzz and defeat Zurg, going at the speed of light of course! 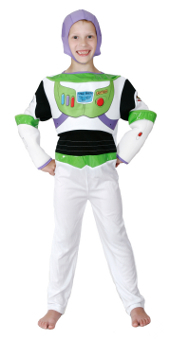 Buzz Lightyear is the perfect costume for a little tyke who wants to save Andy's toys! Buzz and Woody embarked on an adventure together and now you can too in this fantastic Buzz Lightyear costume!